When we consider what the digitisation of our world has done to us, we are quick to acknowledge brick and mortar stores disappearing and social contact waning. But when we do make contact, when we do unplug, how do we make our first impression count? Can you truly connect with someone you have never met? Is it possible to feel close to another person without knowing them in real life? Though we live in a virtual world, where we meet, talk and socialize behind a screen, this only takes us so far. It is only in real life that the senses can intertwine. The truth is, nothing competes with the chemistry created in real life. A chance meeting with someone that catches your eye creates more electricity than a quick swipe right on your phone. Easing the transition from one world to the other, THE SCENT acts as a bridge between the virtual and real. We mean that quite literally. 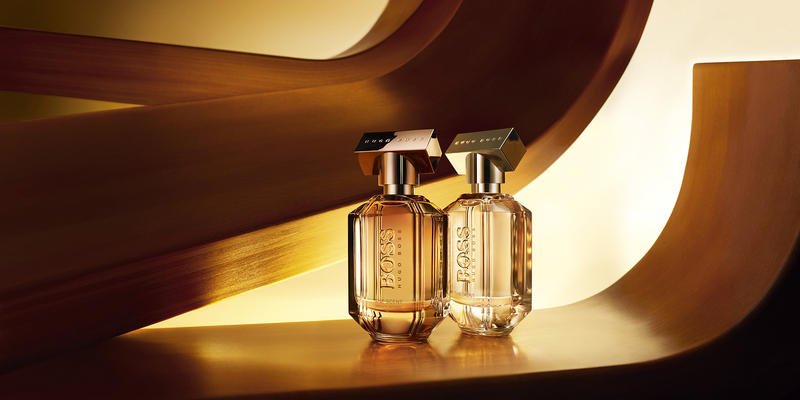 BOSS THE SCENT Private Accord For Her is an Oriental Gourmand fragrance that is both luxurious and sensual with a dark appeal and maybe even an aphrodisiac twist. An exquisite opening of sweet mandarin provides a natural citrus freshness that arouses the senses. The heart of osmanthus flower, as well as an additional base note of roasted tonka, captivates and connects. Driving the infusion together, the Cocoa Absolute at the scent’s base ensures the journey of seduction takes on a deeper, more addictive quality. Put your phone down, unplug, and then connect for real.